WINE APPRECIATION – for wine lovers! The purpose of our Group is to learn about wines from around the world, discover new tastes and preferences and always to enjoy the friendly and sociable atmosphere established within the Group. Our members take it in turn to host meetings, generally at their own house. The number of tasting measures we can obtain per bottle sets a limit of fourteen or fifteen on attendance at our monthly meetings. Here is a round up of our meetings over the last 6 months. At our September 2018 meeting we bid farewell to the summer with a blind tasting celebrating “The Last of the Summer Wines”. The New Hall Bacchus Fumé won Wine of the Month in the white selection and the deceptively named Herdade de Gambia (Portugese actually – the “Gambia” bit being the family name of the producer!) was an almost unanimous winner of the red WOM with the McGuigans Shiraz also well liked. In October our friendly Majestic branch in Braintree alerted me to some great value “Bin Ends” so we enjoyed an assortment those. The Heggies 2013 Eden Valley Chardonnay from Australia was white Wine of the Month and the interesting Is Solus Carignano 2016 from Italy (actually Sardinia) was red Wine of the Month – terrific value at the then bin end price of £4.80. For November it seemed like a good time to explore the ever popular and extensive Cabernet Sauvignon range. This produced a dead heat for Wine of the Month between two blended wines, the South African - Capaia Merlot Cabernet 2010 (Majestic) and Marks & Spencer’s Cab Sav / Tannat blend from South West France - Terres de Moraines. A number of us also thought that Lidl’s Chilean Cabernet Sauvignon (probably blended from multiple sources as the bottle didn’t mention a specific area or vineyard) was very good value at only £4.25 per bottle. In December we departed from the normal wine tasting and held a Gin evening which combined both pre-Christmas celebrations and a house warming for one of our members. So we tried 3 gin liquers - rose & pomegranate, rhubarb & ginger and plum & cinnamon (all pretty sweet but would make a tasty digestif after dessert on a cold winter’s night), 3 home brews – marmalade, sloe and raspberry and three branded gins - Christmas Pudding Gin, Limehouse London Gin and Brighton Gin – the last two certainly demonstrating how much difference the flavour of the tonic makes! There was no Wine of the Month as for most of us there was no wine, but for me the homemade marmalade gin was favourite by a short head. In January a number of factors which could not be avoided cause a rare cancellation of the proposed meeting, but things were back with a bang in February for a full selection appreciating the subtleties of New Zealand wine. The group tasted a sparkling Brut, three white wines and two red wines. The challenge was to guess the grape (and also the price) from a given list of 7 major varieties. We broke after 3 tastings for a small general quiz on New Zealand wine where we learnt that vines were first planted in New Zealand in 1819. We also heard about “6 o’clock Swill” which was set up as a temporary World War One measure requiring bars to close at 6 o’clock and allowing people 10 mins to finish their drinks. This measure lasted 50 years. The winner of the whites was “Russian Jack” Sauvignon Blanc from Majestic and for the reds, Hawkes Bay Syrah from Tesco’s. 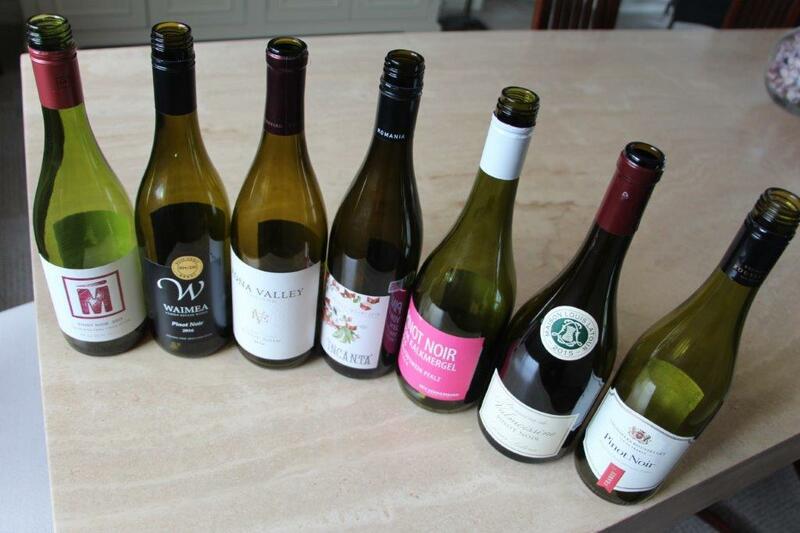 In March we tried 7 wines made from Pinot Noir grapes in an otherwise blind tasting plus food pairing format - 3 from the New World and 4 from the Old. An evening full of surprises, not the least of which was the extent of the variation in taste between wines all made from the same grape variety! 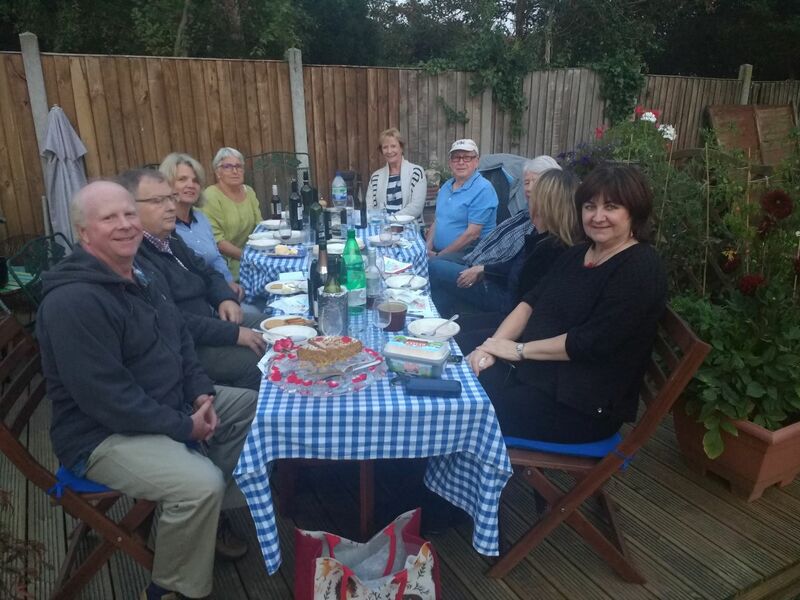 Many thanks to Gill for this round the world selection and of course the excellent “mobile restaurant” which provided an equally varied menu for the food pairings! Perhaps the biggest surprise was the Wine of the Month, the “Incanta” from Romania – light and refreshing and excellent value for money! The New World “Edna Valley” was also very popular but a little matter of over twice the price of the Romanian wine. Finally, although as noted above, we have a natural limit of about 15 people at a meeting, we do have a waiting list. If you are already on it, we will try and fit you into one of our meetings as soon as possible so please keep checking your email in case. If you are not on it but feel that the Wine Appreciation Group could be of interest to you, please contact me – if we can get enough people it would be excellent if we could start a second group! If you would like to join our Group, please contact me Maurice Pannell, as numbers may be limited, depending on our venue.